Just a very quick post today! Here is another quick and easy make ahead breakfast. This is my new favourite chia breakfast, thick, creamy, naturally sweet from the fresh fruit and yet it is gluten and dairy free. It takes only a few minutes to make and then sits in the fridge overnight ready for breakfast. I find that chia puddings can sometimes be too sloppy and have a not very pleasant texture but this is great. The sweetness of the fruit also means that no extra sweetener needs to be added from honey or maple syrup. 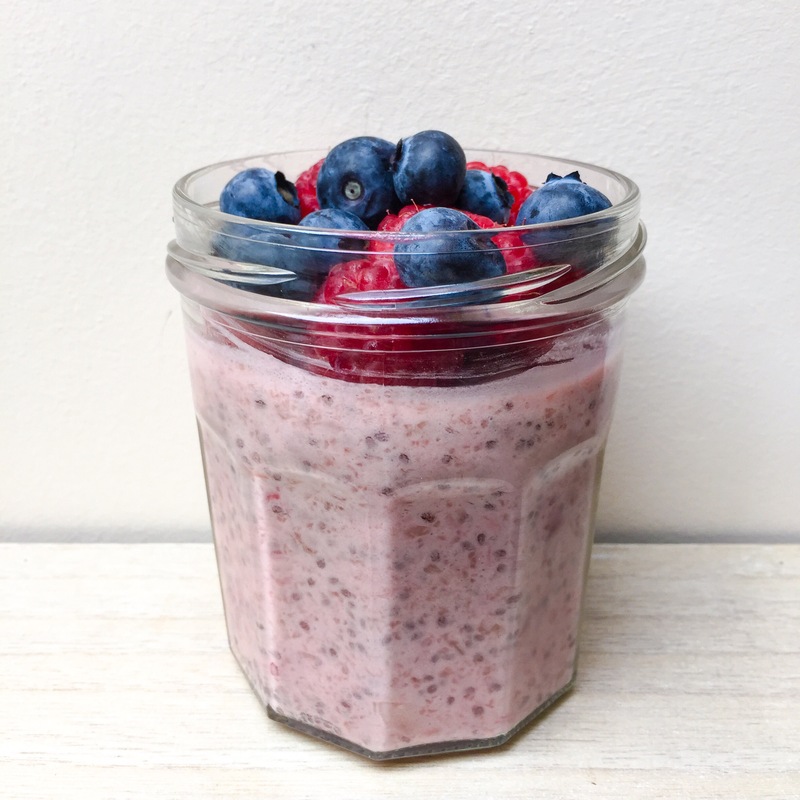 Place the yoghurt, nectarine and raspberries in a food processor and blitz until smooth. Pour the mixture into a jar or bowl, add the chia seeds and mix then cover and place in the fridge overnight. Top with fresh fruit in the morning. I haven’t tried chia seeds yet, but this looks delicious. I love white nectarines!